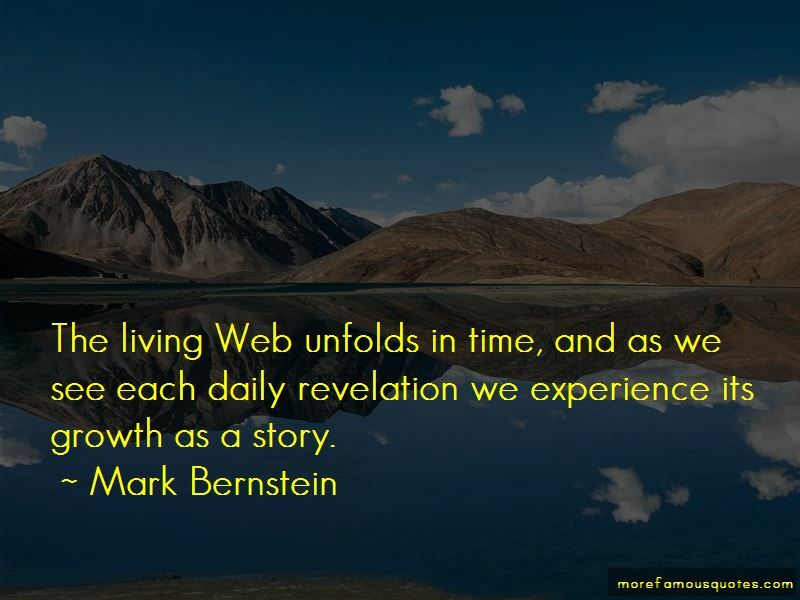 Enjoy the top 6 famous quotes, sayings and quotations by Mark Bernstein. 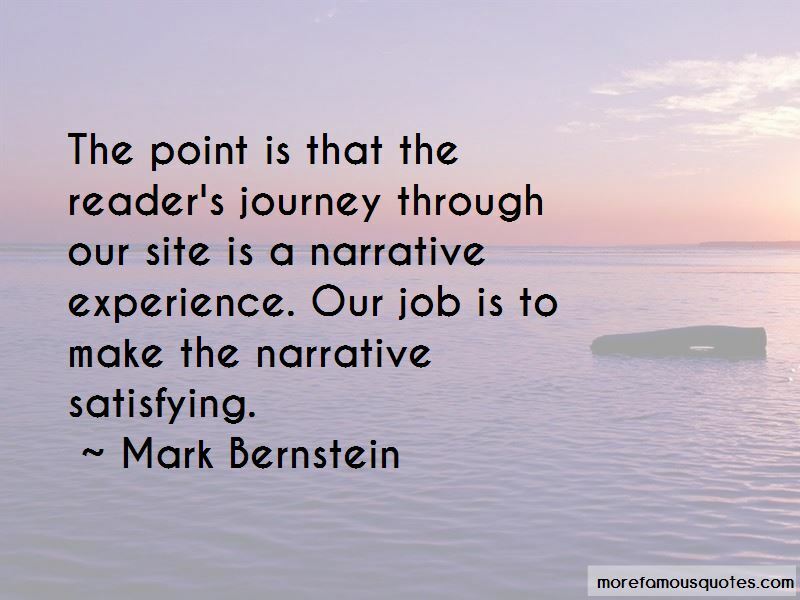 The point is that the reader's journey through our site is a narrative experience. Our job is to make the narrative satisfying. 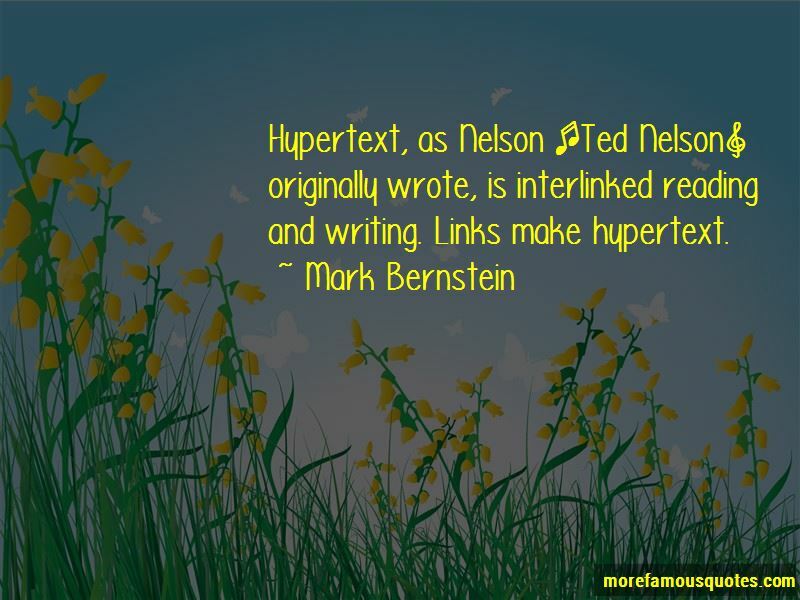 Want to see more pictures of Mark Bernstein quotes? 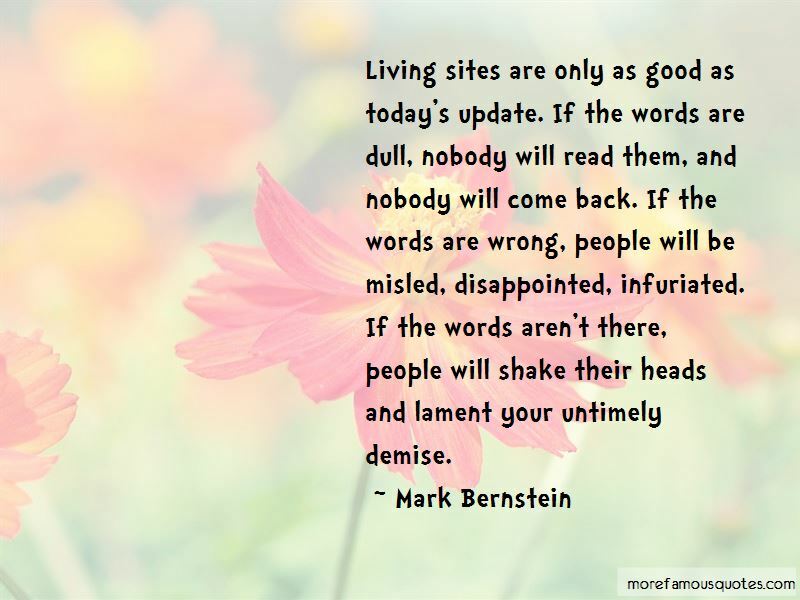 Click on image of Mark Bernstein quotes to view full size.